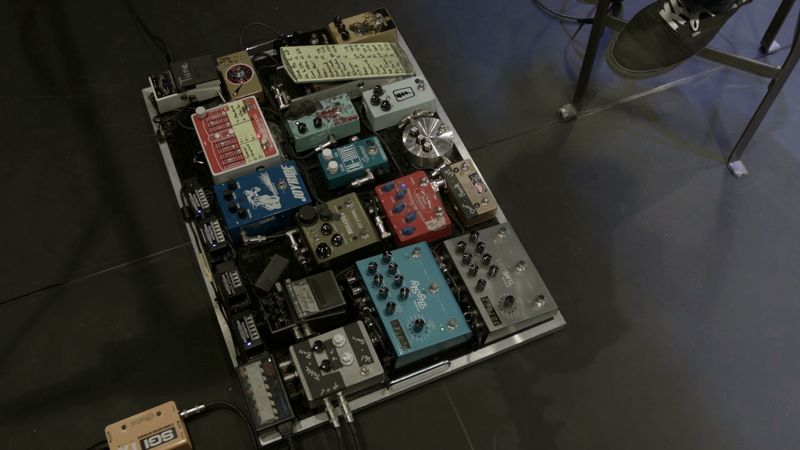 In this lesson, Mike Pope explains which pedals he uses for overdrive, buffering and compression. This is the first set of pedals in his pedalboard signal flow. Tuner called Sidex will splits signal - one side goes to the tuner and the other side continues to the rest of the board. - Don’t confuse with overdrives or distortions, fuzz paddles like to be closer to your guitar pickups. It can be very reactive to what you are doing. - How to use fuzz pedal in a worship song? - Sit compression at really light. When you turn the blend knob all the way up it’s on, when you turn it down it’s off. - Compressor takes high and low peaks of your signal and squeezes them together. - The more compression you ad, the more you squeeze the tone. - Some people compress their tone to much and this makes the sound smaller. Use the compressor to sustain. Find a balance in the blend knob. - It creates different octaves below or above the notes you’re playing. M-Drive Pedal - Adds a little bit more to what you’re guitar has already got going on. - It’s responsive to how hard you play. - Mike uses it for slower, more relaxed songs. - Sounds dirtier, similar to rap paddle but more mid rangy and thinner. - Got a lot of headroom, uses it for a solo boost, makes the sound louder.